Yesterday we celebrated a very special birthday - what would have been the 59th of someone very dear to us indeed - and in my household's inimitable style this called for a combination of booze and cake. Laura (another one! ), The Boy's lovely stepsister, got The Beeroness' The Craft Beer Cookbook from us for Christmas (seeing as I fell in love with it when writing about beer gifts last year) and she decided to emulate the bittersweet nature of the occasion with a delicious stout cake. Besides, the birthday boy loved a beer and would definitely have approved. It's full title in the book, I should add, is Chocolate Stout Cake With Chocolate Raspberry Ganache and Whipped Cream. Oh yes, this is EXACTLY why you should buy the bloody book. Seriously. The recipe called for chocolate stout, which got Laura wondering whether this was some crazy concoction only available in The Beeroness' native Stateside, so imagine her delighted surprise when she wandered into Sainsbury's and discovered Batemans Mocha Chocolate Beer. Batemans is a heavily award-laden Lincolnshire brewery which dates back to 1874 and is still run by the Bateman family (lovely!). They make quite a range of beers, including various seasonal ones, but the Mocha Chocolate beer is just one in a line of gorgeous speciality beers infused with the likes of orange zest, chocolate and amaretto. That's my kind of beer. Bateman's Mocha is a dark, black-coffee-coloured beer which doesn't smell particularly different to a regular brew, just a little sweeter. When you taste it, the first suggestion is a deliciously rich, bitter, balanced beer, but then suddenly your tastebuds are overcome by coffee and creamy dark chocolate. Not flavourings - the real deal - and the best part is they blend wonderfully with the beer itself. 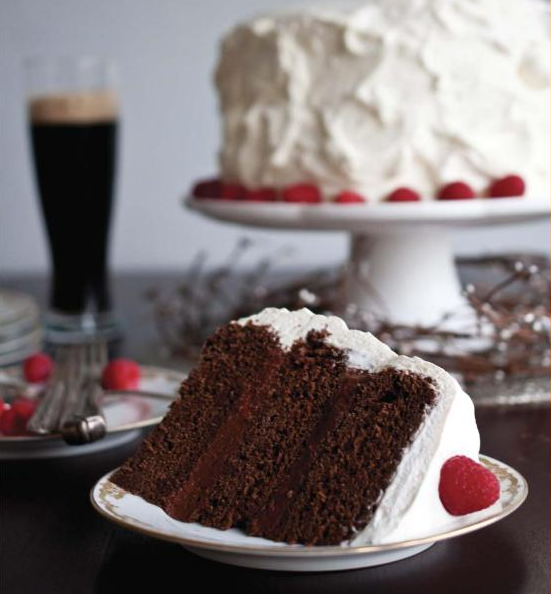 I was so impressed when I tasted it, but then when I drank it alongside the cake it was an absolute joy, proving beer and cake really can go hand in hand. The world is now a better place. 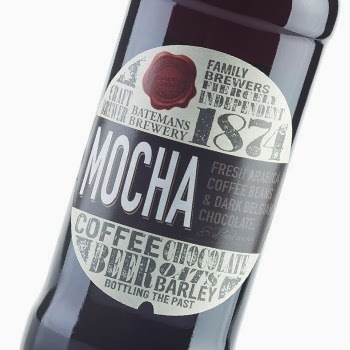 Grab a bottle for the special price of £1.64 (usually £2.05) at Sainsbury's or buy a case of 8 bottles of Mocha beer direct from Batemans for £19.20.